The West Virginia Biological Survey Museum is located in the Science Building at Marshall University in Huntington, WV. 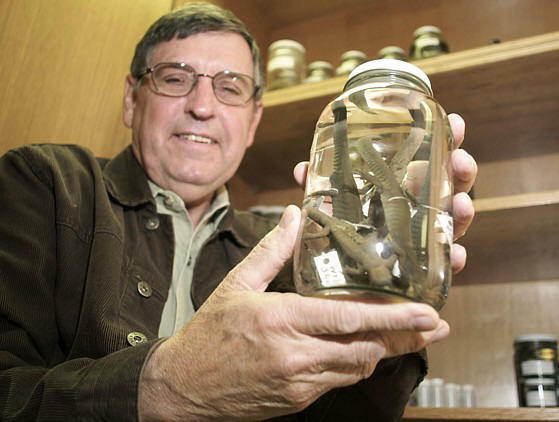 The amphibian and reptile collection is maintained by Thomas K. Pauley and his graduate students. There are currently over 15,000 specimens of amphibians and reptiles in the museum. Almost all of these specimens are from West Virginia, and are a result of 100 years of surveys mainly performed by herpetologists in the state. We are in the process of completing a statewide Atlas for the amphibians and reptiles in West Virginia. The museum serves as a storehouse for both historical records of amphibians and reptiles as well as a depository for new county records.